British war hero and football pioneer Walter Tull. On New Year’s Day, 1918, a detachment of the 23rd Battalion of the British Army stared out across the frozen River Piave in northern Italy. Their mission was to carry out a raid behind enemy lines on the other side. They looked to their commanding officer for the signal to advance. The men trusted him implicitly; would go anywhere for him. The officer was remarkable in many ways. Not only was he a professional footballer in civilian life, he was the only black officer in the British Army. As a youngster growing up in Australia in the mid to late ’70s, I used to watch the iconic British football shows such as Big Match, Match of the Day and Star Soccer. I was entranced by the packed ranks of spectators, particularly those standing in the terraces at the ends of the grounds. The chanting, cheering, heaving mobs seemed to function like a giant pulse, swaying this way and that, mimicking the ebb and flow of the match. Nothing in Australian sport could compare and I watched in awe. But there was one thing that always disturbed me. The jeering of the black players. Players such as Clyde Best of West Ham, Garth Crooks of Stoke and Tottenham, Cyril Regis of West Brom and Viv Anderson of Nottingham Forest made an impact on the British game during the 1970s. And they always seemed to cop it from the away fans. The commentators would generally ignore the abuse, much as modern-day sports telecasts do not show pitch invaders. I suppose the thinking was to not draw attention to it. However, I do remember a commentator losing his cool once and berating the fans for booing the black players. Those players had a tough time and I always assumed they were pioneers. And they were, however, in the years leading up to World War I, there was another. Of all things, it was an episode of Antiques Roadshow that introduced me to the the story of Walter Tull. It’s that show where people bring along bric-a-brac stored in basements and long-lost aunties’ attics to be assessed by a team of experts. Most of the objects are trinkets, although some turn out to be treasure. For me, the treasure was the feature at the beginning of the show. The episode was set in the town of Northampton and the historical feature was the story of black, professional footballer Walter Tull. Tull was born in Folkestone, England in April 1888. His father was the son of a slave from Barbados and his mother a white Englishwoman. When he was just six years old, Walter’s mother died of cancer and three years later his father passed away from a heart attack. The local church stopped Walter and his older brother, Edward, from being sent to a workhouse and instead they were sent to an orphanage in Bethnal Green in London’s less-than-salubrious East End. The brothers were inseparable and in 1900 Walter suffered a severe blow when Edward was adopted out. Perhaps because of his despair, Walter took up football and became very good at it. By 1908, at the age of 20, Walter was starring for the amateur club Clapton Orient. His performances were so impressive they caught the attention of the talent scouts at Tottenham Hotspur. 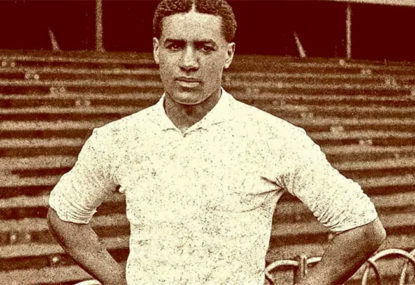 When he joined Spurs in 1909, he was only the third black player to have signed a professional football contract, and was the first outfield player to do so. Walter first played for Tottenham during the club’s pre-season tour of South America. His first Football League appearance was at White Hart Lane, against Manchester United. But his time at Spurs was not a happy one. On away matches he was subject to regular abuse. In a match against Bristol City the racial abuse was particularly virulent. The language used was “lower than Billingsgate”, according to a contemporary newspaper report. The same report said that Walter’s tactics “were beyond reproach”, and that he was “a model for all white men who played the game”. Walter scored two goals in 11 appearances for Tottenham, but it is probable that the abuse affected his game. He was soon languishing in the reserves and eventually placed on the transfer market, but his fortunes turned in 1911, when he was picked up by Northampton Town. Playing as a forward at Northampton, Walter had a standout season in 1911. In just 12 matches he scored nine goals, including four against another Bristol team (Bristol Rovers). He became an established player at Northampton Town, but the war curtailed his career and in December 1914 Walter made the trip down to London to enlist in the Football Battalion of the Middlesex Regiment. 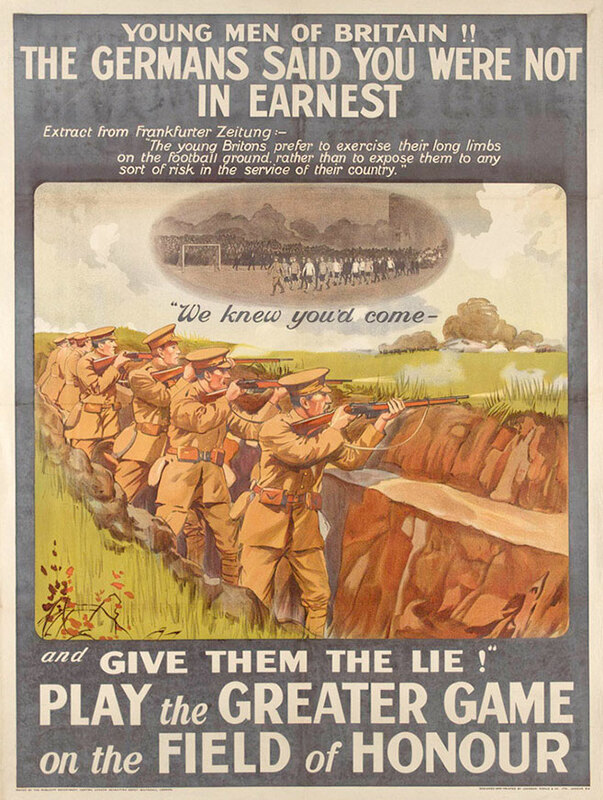 The footballers’ battalions were formed to encourage players and fans to enlist; the possibility of serving beside a professional footballer was thought to be a good lure to get supporters of the game to enlist. The soldiers serving in the battalions were given a special concession: they were allowed to play for their clubs on Saturdays until the end of the season. But once the season was over, Walter and his pals were sent to the trenches on the Western Front. Walter’s leadership abilities were apparent early on and he was a sergeant in the killing fields of the Somme in 1916. Such was Walter’s standing among his peers that he was sent to officer training school. This was against army regulations, which forbade anyone of non-pure European descent becoming an officer. Nevertheless, Walter completed his training in Scotland and there is a group photo of his time there, showing an Australian soldier in the back row. Who was that man? When he graduated from training, Walter became the first black officer to lead a combat unit in the history of the British Army. The raid across the icy Piave that Walter led was a success, and he managed to bring his men back with no casualties. For his bravery, Walter was recommended for a Military Cross. Eventually, his unit was transferred back to the Western Front and in March 1918, in France, Walter was killed in action. It was said that his men tried to recover his body under heavy fire but they had to turn back. Walter’s body was never found. On many levels, Walter was a remarkable man. He broke down barriers in football and in the military. He was a genuine British war hero, although he never received the Military Cross for which he was recommended. I also wonder if Walter Tull is perhaps a hero of the sport of football. Not in the same vein as Cristiano Ronaldo or Lionel Messi, but as a courageous man who rattled the cage of racism using nothing more than grace and humility.